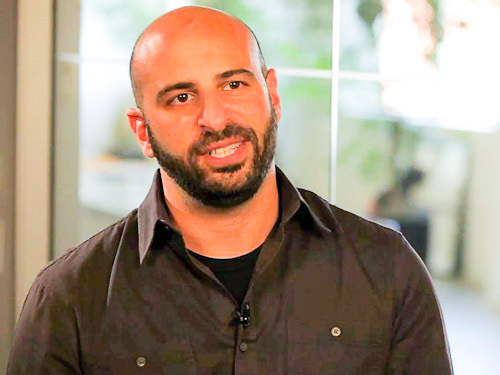 Interview with Adam Pisoni (above), co-founder of Yammer. At a time when many doubted social networking could benefit a business' bottom line, Yammer hit the scene with a service that many called "Twitter for the Enterprise." More than 5 million corporate employees, 85 percent of which are at Fortune 500 companies, reportedly use Yammer.That success drove Microsoft to pay $1.2 billion last year to acquire the private, social network, with ambitions to roll Yammer features into Microsoft's SharePoint 2013 and Office 365 applications. Yammer co-founder and CTO Adam Pisoni sat down to talk about why empowering employees is central to his product and essential for any business that wants to thrive in today's fast-paced world. Why have many Fortune 500 companies embraced collaboration tools such as Yammer? When we started Yammer, we weren't sure which kind of companies would gravitate to it. We assumed that smaller companies and companies that were more tech savvy would, but a lot of companies that have been around for a long time realized that it's difficult to adapt to this level of change. For companies, being adaptable is becoming the single most important thing they can do. The nature of change has come to the point where you have to be able to adapt quickly, period. Technology has become so easy to get and barriers are so low in most areas that your best bet is to focus on velocity and change. We're constantly in a process of re-designing ourselves and answering the hard questions as we scale our company. We started in a market that had almost no competition. Quickly we had very small competitors and now find ourselves in a place where there are large companies claiming to do some aspects of what we do. We adapt as we go, moving in little increments. It's less about, let's come up with a 10-year strategy and hope that the world is what we think it'll be at that time, and more about how do we take small steps and measure as we go to see whether that's the right direction. How are such mobile technologies as laptops, smartphones and tablets impacting your business clients? They're changing the way we think about interacting, consuming and producing the work that we do. [Mobile technologies] really blur the line between our home lives and our work lives, and how we organize our lives in total. Back when the mobile revolution started in 2008, enterprises completely missed it. In 2011 and 2012, enterprises started understanding how much value they can get from embracing mobile. My guess is that in 2008, there were people within those companies that saw it coming, and understood how their company could better leverage out of those tools, but they just didn't have access to each other or the right people that would help make that a reality. How are companies benefiting when their employees are more collaborative? One industry that's getting more power from this is the consultancy industries, including companies like Deloitte. Deloitte has 200,000 employees, and it's very much the franchise model, where there are all these different organizations that are doing similar things and need to learn the same things. They need to understand the same trends, but really had no fast and effective way of communicating across the company. By bringing them all together to talk in a more transparent way, they're making their whole company more efficient, transparent, and able to spot trends faster, which is why customers come to them to understand where the future's going. One of our customers is Super Value, a very large supermarket chain. Historically, a supermarket wants to optimize what goes on its shelves in order to stay competitive. We used to gather activity data from stores and bring it up to the top of the companies, but that feedback loop is just too slow, and frankly doesn't really leverage the creativity of all the employees and customers. They created a Yammer and asked all the managers to share what's working and what's not. That feedback loop, along with the data to verify what was going on, allowed them to become so much more adaptable. Once their employees had access to each other's ideas and information, they could move faster. Do people prefer to compete or collaborate? There's so much value in having other people see what I'm thinking and doing, and leveraging that to innovate on their own. That's how we as a species have come this far, by sharing and innovating upon what each other is saying. Who knows what's valuable and what's not? Let someone else be the judge of that. The next big trends in enterprise communications is trust and transparency in terms of an increased expectation that people and companies are who they say they are. Because there's an increase in access to information, transparency created by social media, for example, is making it more important that your words reflect the actions you take. The reason why there's this push toward more transparency is because of innovation, that desire that drives us forward. Often we innovate on what somebody else has started because there are very few unique or brand new ideas. It's pretty much all just building on what other people have done. That's just a part of who we are; I've started something, now can someone else take it further? How did social networking break into the enterprise? People have this basic need to find other people who are like them, to feel there's value in what they're saying and doing. The revolution of social media is that it was the first communication tool that supported an infinite number of people talking at the same time. The telephone and telegraph was great for one-to-one communication. Email revolutionized that by adding one-to-many. Social networking is really the first many-to-many. Yammer exists because companies weren't offering these [many-to-many] communication tools to their employees, and employees really wanted efficient communication that lets them connect to each other, wherever they are, whenever they need to. The same way people are choosing a phone or device, they want to use tools at work that work really well, quickly, and that don't require a lot of training. It was through mobile that enterprises started to realize that the tools that were expected of them had to be as good as what they had in consumers' lives. Employees started to demand that the tools used for work were as good as the ones they have in their home lives. Are collaboration tools a fad or fabric of doing business? For a long time, companies very efficiently ran in a command-and-control, top-down way. Companies could organize, create long-term plans, predict outcomes and hit targets. The pace of change is now too fast for this approach. To keep up with changes in technology or customers' needs, companies are pushing more decision making down to their employees. Employees need to have better information and better connections with coworkers and the company vision. That's where tools like Yammer come in to enable better collaboration. Add to that mobility, employees can communicate, find the right person and get information they need quickly wherever they are to help them make informed decisions. There's such a short window in which really disruptive technology can come and be successful. Yammer is at the confluence of a number of large technological revolutions in the enterprise, including cloud, consumerization, mobile, big data, social, and we seem to be hitting it right at the right point. It's almost like you know you're at the right time when everybody swears it's too early, but you gain traction anyway. That said, how we transition in the future, I also think a lot about, because in any kind of disruptive technology, at some point, it has to become mainstream.